HPE OfficeConnect 1820 24G PoE+ (185W) Switch - J9983A Tính năng kỹ thuật : Ports : 24 autosensing 10/100/1000 ports (12-Ports PoE+, Cống suất tối đa :185W, port : 30W) + 2 Gigabit SFP ports. Memory and processor : ARM Cortex-A9 @ 400 MHz, 128 MB SDRAM, 16 MB flash; packet buffer size: 1.5 MB Performance : 100 Mb Latency < 7µs (64-byte packets); 1000 Mb Latency < 2µs (64-byte packets); Throughput up to 38.6 million pps; Switching capacity 52 Gbps; MAC address table size 8000. Support : Quality of Service (QoS); Management; Connectivity; Layer 2 switching; Security; Convergence; Resiliency and high availability. 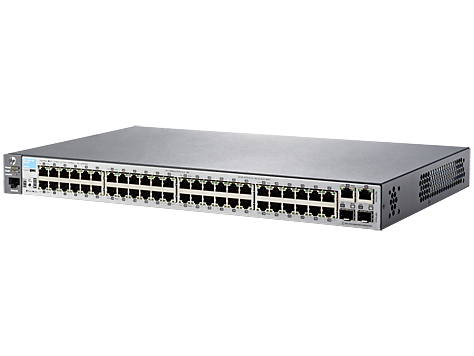 HP 1910-24-PoE+ Switch JG539A 24 Port 10/100 + 2 Port 10/100/1000 (Cáp đồng) hoặc 2 Slot SFP (quang). Công suất PoE 180W, công suất hỗ trợ tối đa mỗi port 30W. Ports : 24 RJ-45 autosensing 10/100 ports + 2 RJ-45 dual-personality 10/100/1000 ports or SFP + 1 RJ-45 serial console port. Memory and processor : ARM 88E6218 @ 150 MHz, 8 MB SDRAM, 4 MB flash; packet buffer size: 384 MB. Support : Quality of Service (QoS); Management; Connectivity; Layer 2 switching; Security; Convergence; Resiliency and high availability. Performance : 100 Mb Latency < 5 µs; 1000 Mb Latency < 5 µs; Throughput 6.6 million pps; Routing/Switching capacity 8.8 Gbps. HP 1920-8G-PoE+ (180W) Switch - JG922A 8 port 10/100/1000 Mbps + 2 slot SFP. Tính năng kỹ thuật : Ports : 8 autosensing 10/100/1000 PoE+ ports (Cống suất tối đa :180W, port : 30W); 2 Gigabit SFP ports. Memory and processor : MIPS @ 500 MHz, 32 MB flash, 128 MB SDRAM; packet buffer size: 4.1 Mb. Performance : 100 Mb Latency < 5 µs; 1000 Mb Latency < 5 µs; Throughput up to 14.8 million pps; Routing/Switching capacity 20 Gbps; Routing table size 32 entries. Support : Quality of Service (QoS); Management; Connectivity; Layer 2 switching; Security; Convergence; Resiliency and high availability. Layer 3 services : Address Resolution Protocol (ARP): determines the MAC address of another IP host in the same subnet; supports static ARPs; gratuitous ARP allows detection of duplicate IP addresses; proxy ARP allows normal ARP operation between subnets or when subnets are separated by a Layer 2 network; DHCP relay: simplifies management of DHCP addresses in networks with multiple subnets. Layer 3 routing : NEW Static IPv4/IPv6 routing: provides basic routing (supporting up to 32 static routes and 8 virtual VLAN interfaces); allows manual configuration of routing. HP 2530-8-PoE+ Switch - J9780A Tính năng kỹ thuật : Ports : 8 RJ-45 autosensing 10/100 PoE+ 2 2 RJ-45 dual-personality 10/100/1000 ports or SFP + 1 dual-personality (RJ-45 or USB micro-B) serial console port. 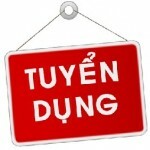 Công suất tối đa mỗi port : 30W .Công suất tổng : 67W Memory and processor : ARM9E @ 800 MHz, 128 MB flash, 256 MB DDR3 DIMM; packet buffer size: 1.5 MB dynamically allocated. Performance : IPv6 Ready Certified; 100 Mb Latency < 1.3 µs (LIFO 64-byte packets); 1000 Mb Latency < 2.3 µs (LIFO 64-byte packets); Throughput up to 4.1 million pps (64-byte packets); Switching capacity 5.6 Gbps; MAC address table size 16000. Support : Quality of Service (QoS); Management; Connectivity; Layer 2 switching; Security; Convergence; Resiliency and high availability. HP 2920-24G Switch - J9726A Tính năng kỹ thuật : Ports : 24 RJ-45 autosensing 10/100/1000 ports + 2 slot for optional 10GB module. Memory and processor : Tri Core ARM1176 @ 625 MHz, 1GB flash, 512 SDRAM; packet buffer size: 11.25 MB (6.75 MB dynamic egress + 4.5 MB ingress). Performance : IPv6 Ready Certified; 100 Mb Latency < 9 µs ; 1000 Mb Latency < 3.3 µs ; 10G Latency < 3.3 µs; Throughput up to 95.2 million pps (64-byte packets); Switching capacity 128 Gbps; Stackable 4 switch. L2 and L3 plus static and RIP routing; Support : Quality of Service (QoS); Management; Connectivity; Security; Convergence; Resiliency and high availability. HP 2530-48G Switch J9775A Ports : 48 RJ-45 autosensing 10/100/1000 ports + 4 fixed ports GB SFP + 1 dual-personality (RJ-45 or USB micro-B) serial console port. Memory and processor : ARM9E @ 800 MHz, 128 MB flash, 256 MB DDR3 DIMM; packet buffer size: 3 MB dynamically allocated. Performance : IPv6 Ready Certified; 100 Mb Latency < 7.4 µs (LIFO 64-byte packets); 1000 Mb Latency < 2.3 µs (LIFO 64-byte packets); Throughput up to 77.3 million pps (64-byte packets); Switching capacity 104 Gbps; MAC address table size 16000 entries. 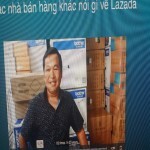 Support : Quality of Service (QoS); Management; Connectivity; Layer 2 switching; Security; Convergence; Resiliency and high availability. HP 1920-48G Switch - JG927A Ports : 48 autosensing 10/100/1000 ports; 4 Gigabit SFP ports, dual-purposed with 4 of the 10/100/1000 ports. Memory and processor : ARM @ 333 MHz, 128 MB flash, 128 MB RAM; packet buffer size: 512 KB. Performance : 100 Mb Latency < 5 µs; 1000 Mb Latency < 5 µs; Throughput up to 77.4 million pps; Routing/Switching capacity 104 Gbps; Routing table size 32 entries. Support : Quality of Service (QoS); Management; Connectivity; Layer 2 switching; Security; Convergence; Resiliency and high availability. Layer 3 services : Address Resolution Protocol (ARP): determines the MAC address of another IP host in the same subnet; supports static ARPs; gratuitous ARP allows detection of duplicate IP addresses; proxy ARP allows normal ARP operation between subnets or when subnets are separated by a Layer 2 network; DHCP relay: simplifies management of DHCP addresses in networks with multiple subnets. Layer 3 routing : NEW Static IPv4/IPv6 routing: provides basic routing (supporting up to 32 static routes and 8 virtual VLAN interfaces); allows manual configuration of routing. HPE OfficeConnect 1920S 48G 4SFP - JL382A 48 port 10/100/1000 Mbps + 4 slot SFP. Tính năng kỹ thuật : Ports : 48 autosensing 10/100/1000 ports; 4 Gigabit SFP ports. ARM Cortex-A9 @ 400 MHz, 256 MB SDRAM, 64 MB flash; packet buffer: 1.5 MB Performance : 100 Mb Latency < 7 µs; 1000 Mb Latency < 2 µs; Throughput up to 77.3 Mpps (64-byte packets); Routing/Switching capacity 104 Gbps; Routing table size 32 entries; MAC address table size 16000 Support : Quality of Service (QoS); Management; Connectivity; Layer 2 switching; Security; Convergence; Resiliency and high availability. Layer 3 services : Address Resolution Protocol (ARP): determines the MAC address of another IP host in the same subnet; supports static ARPs; gratuitous ARP allows detection of duplicate IP addresses; proxy ARP allows normal ARP operation between subnets or when subnets are separated by a Layer 2 network; DHCP relay: simplifies management of DHCP addresses in networks with multiple subnets. Layer 3 routing : NEW Static IPv4/IPv6 routing: provides basic routing (supporting up to 32 static routes and 8 virtual VLAN interfaces); allows manual configuration of routing. 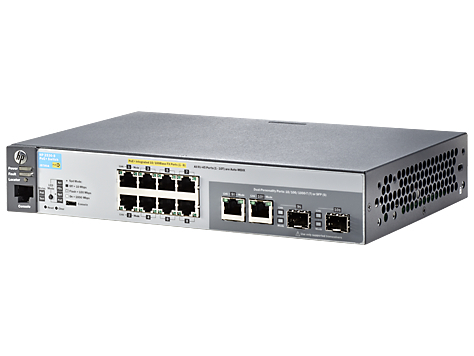 HP 1820-48G Switch - J9981A Tính năng kỹ thuật : Ports : 48 autosensing 10/100/1000 ports + 4 Gigabit SFP ports. Memory and processor : 64 MB RAM, 8 MB flash; packet buffer size: 1.5MB Performance : 100 Mb Latency < 8.4µs (64-byte packets); 1000 Mb Latency < 3.2µs (64-byte packets); Throughput up to 77.4 million pps; Switching capacity 104 Gbps; MAC address table size 16000. Support : Quality of Service (QoS); Management; Connectivity; Layer 2 switching; Security; Convergence; Resiliency and high availability. 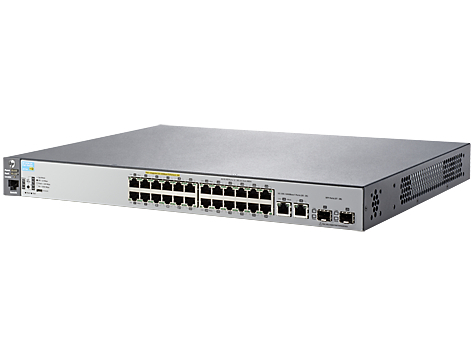 HP 1620-48G Switch - JG914A Tính năng kỹ thuật : Ports : 48 autosensing 10/100/1000 ports. Memory and processor MIPS @ 650 MHz, 32 MB flash, 128 MB RAM; packet buffer size: 12Mb. Performance : 100 Mb Latency < 7µs (64-byte packets); 1000 Mb Latency < 2µs (64-byte packets); Throughput up to 71.4 million pps; Switching capacity 96 Gbps; MAC address table size 16000. Support : Quality of Service (QoS); Management; Connectivity; Layer 2 switching; Security; Convergence; Resiliency and high availability. HP 2530-24G Switch J9776A Ports : 24 RJ-45 autosensing 10/100/1000 ports + 4 fixed ports GB SFP + 1 dual-personality (RJ-45 or USB micro-B) serial console port. Memory and processor : ARM9E @ 800 MHz, 128 MB flash, 256 MB DDR3 DIMM; packet buffer size: 1.5 MB dynamically allocatedThroughput :up to 35.7 million pps. Performance : IPv6 Ready Certified; 100 Mb Latency &lt; 7.4 µs (LIFO 64-byte packets); 1000 Mb Latency &lt; 2.3 µs (LIFO 64-byte packets); Throughput up to 41.6 million pps (64-byte packets); Switching capacity 56 Gbps; MAC address table size 16000 entries. Support : Quality of Service (QoS); Management; Connectivity; Layer 2 switching; Security; Convergence; Resiliency and high availability. HPE OfficeConnect 1920S 24G 2SFP - JL381A 24 port 10/100/1000 Mbps + 2 slot SFP Tính năng kỹ thuật : Ports : 24 autosensing 10/100/1000 ports; 2 Gigabit SFP ports. ARM Cortex-A9 @ 400 MHz, 256 MB SDRAM, 64 MB flash; packet buffer: 1.5 MB Performance : 100 Mb Latency < 7 µs; 1000 Mb Latency < 2 µs; Throughput up to 38.6 Mpps (64-byte packets); Routing/Switching capacity 52 Gbps; Routing table size 32 entries; MAC address table size 8000 Support : Quality of Service (QoS); Management; Connectivity; Layer 2 switching; Security; Convergence; Resiliency and high availability. Layer 3 services : Address Resolution Protocol (ARP): determines the MAC address of another IP host in the same subnet; supports static ARPs; gratuitous ARP allows detection of duplicate IP addresses; proxy ARP allows normal ARP operation between subnets or when subnets are separated by a Layer 2 network; DHCP relay: simplifies management of DHCP addresses in networks with multiple subnets. Layer 3 routing : NEW Static IPv4/IPv6 routing: provides basic routing (supporting up to 32 static routes and 8 virtual VLAN interfaces); allows manual configuration of routing. 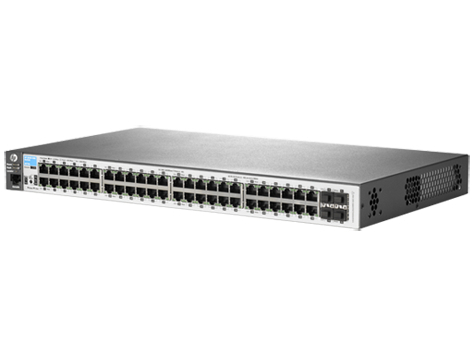 HP 1820-24G Switch - J9980A Tính năng kỹ thuật : Ports : 24 autosensing 10/100/1000 ports + 2 Gigabit SFP ports. Memory and processor : 128 MB RAM, 16 MB flash; packet buffer size: 1.5MB Performance : 100 Mb Latency < 7µs (64-byte packets); 1000 Mb Latency < 2µs (64-byte packets); Throughput up to 38.6 million pps; Switching capacity 52 Gbps; MAC address table size 8000. Support : Quality of Service (QoS); Management; Connectivity; Layer 2 switching; Security; Convergence; Resiliency and high availability. 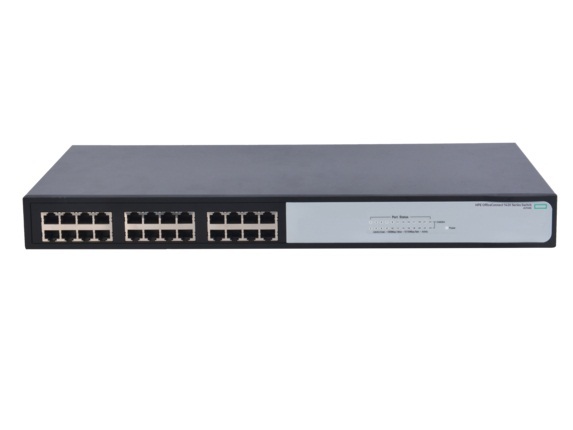 HP 1620-24G Switch - JG913A Tính năng kỹ thuật : Ports : 24 autosensing 10/100/1000 ports. Memory and processor MIPS @ 500 MHz, 32 MB flash, 128 MB RAM; packet buffer size: 4.1Mb. Performance : 100 Mb Latency < 7 µs; 1000 Mb Latency < 5 µs; Throughput up to 35.7 million pps; Routing/Switching capacity 48 Gbps; Routing table size 32 entries. MAC address table size 8000. Support : Quality of Service (QoS); Management; Connectivity; Layer 2 switching; Security; Convergence; Resiliency and high availability. 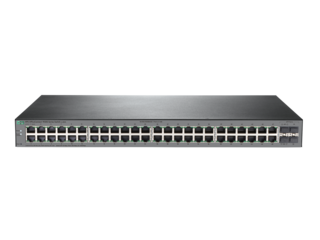 HP 1920-16G Switch - JG923A Ports : 16 autosensing 10/100/1000 ports; 4 Gigabit SFP ports, dual-purposed with 4 of the 10/100/1000 ports. Memory and processor ARM @ 333 MHz, 128 MB flash, 128 MB RAM; packet buffer size: 512 KB. Performance : 100 Mb Latency &lt; 5 µs; 1000 Mb Latency &lt; 5 µs; Throughput up to 29.8 million pps; Routing/Switching capacity 40 Gbps; Routing table size 32 entries. Support : Quality of Service (QoS); Management; Connectivity; Layer 2 switching; Security; Convergence; Resiliency and high availability. Layer 3 services : Address Resolution Protocol (ARP): determines the MAC address of another IP host in the same subnet; supports static ARPs; gratuitous ARP allows detection of duplicate IP addresses; proxy ARP allows normal ARP operation between subnets or when subnets are separated by a Layer 2 network; DHCP relay: simplifies management of DHCP addresses in networks with multiple subnets. Layer 3 routing : NEW Static IPv4/IPv6 routing: provides basic routing (supporting up to 32 static routes and 8 virtual VLAN interfaces); allows manual configuration of routing. HP 1920-8G Switch - JG920A 8 port 10/100/1000 Mbps + 2 slot SFP Tính năng kỹ thuật : Ports : 8 autosensing 10/100/1000 ports; 1 Gigabit SFP ports, dual-purposed with the 10/100/1000 ports. Memory and processor ARM @ 333 MHz, 128 MB flash, 128 MB RAM; packet buffer size: 512 KB. Performance : 100 Mb Latency < 5 µs; 1000 Mb Latency < 5 µs; Throughput up to 13.4 million pps; Routing/Switching capacity 18 Gbps; Routing table size 32 entries. Support : Quality of Service (QoS); Management; Connectivity; Layer 2 switching; Security; Convergence; Resiliency and high availability. Layer 3 services : Address Resolution Protocol (ARP): determines the MAC address of another IP host in the same subnet; supports static ARPs; gratuitous ARP allows detection of duplicate IP addresses; proxy ARP allows normal ARP operation between subnets or when subnets are separated by a Layer 2 network; DHCP relay: simplifies management of DHCP addresses in networks with multiple subnets. Layer 3 routing : NEW Static IPv4/IPv6 routing: provides basic routing (supporting up to 32 static routes and 8 virtual VLAN interfaces); allows manual configuration of routing. HP V1820-8G Switch J9979A Ports : 8 autosensing 10/100/1000 ports Memory and processor : 128 MB RAM, 8 MB flash; packet buffer size: 512 KB Performance : 100 Mb Latency < 3.3 µs (64-byte packets); 1000 Mb Latency < 2.3 µs (64-byte packets); Throughput up to 11.9 million pps; Switching capacity 16 Gbps; MAC address table size 8000 entries. Support : Quality of Service (QoS); Management; Connectivity; Layer 2 switching; Security; Convergence; Resiliency and high availability. 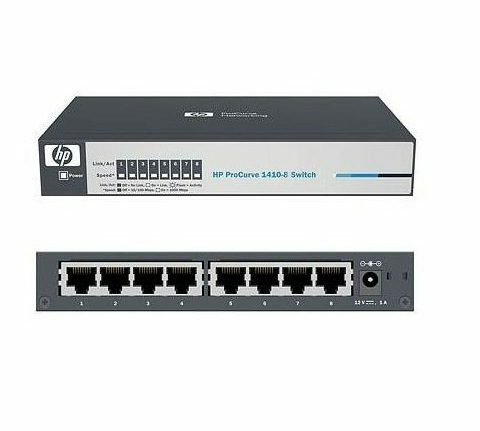 HP 2530-48 Switch - J9781A Tính năng kỹ thuật : Ports : 48 RJ-45 autosensing 10/100 ports + 2 autosensing 10/100/1000 ports + 2 fixed Gigabit Ethernet SFP ports + 1 dual-personality (RJ-45 or USB micro-B) serial console port. 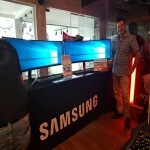 Memory and processor : ARM9E @ 800 MHz, 128 MB flash, 256 MB DDR3 DIMM; packet buffer size: 3 MB dynamically allocated. Performance : IPv6 Ready Certified; 100 Mb Latency < 6.6 µs (LIFO 64-byte packets); 1000 Mb Latency < 2.2 µs (LIFO 64-byte packets); Throughput up to 13 million pps (64-byte packets); Switching capacity 17.6 Gbps; MAC address table size 16000. Support : Quality of Service (QoS); Management; Connectivity; Layer 2 switching; Security; Convergence; Resiliency and high availability. HP 1910-48 Switch JG540A 48 Port 10/100 + 2 Port 10/100/1000 (Cáp đồng) hoặc 2 Slot SFP (quang). Ports : 48 RJ-45 autosensing 10/100 ports + 2 RJ-45 dual-personality 10/100/1000 ports or SFP + 1 RJ-45 serial console port. Memory and processor : MIPS @ 500 MHz, 32 MB flash, 128 MB RAM; packet buffer size: 1.5 MB. Support : Layer 3 services ARP and DHCP relay, Layer 3 routing : NEW Static IPv4/IPv6 routing: provides basic routing (supporting up to 32 static routes and 8 virtual VLAN interfaces); allows manual configuration of routing. Support : Quality of Service (QoS); Management; Connectivity; Layer 2 switching; Security; Convergence; Resiliency and high availability. Performance : 100 Mb Latency < 5 µs; 1000 Mb Latency < 5 µs; Throughput 10.1 million pps; Routing/Switching capacity 13.6 Gbps. HP 1910-24 Switch JG538A 24 Port 10/100 + 2 Port 10/100/1000 (Cáp đồng) hoặc 2 Slot SFP (quang). Ports : 24 RJ-45 autosensing 10/100 ports + 2 RJ-45 dual-personality 10/100/1000 ports or SFP + 1 RJ-45 serial console port. Memory and processor : MIPS @ 500 MHz, 32 MB flash, 128 MB RAM; packet buffer size: 512 KB. Support : Layer 3 services ARP and DHCP relay, Layer 3 routing : NEW Static IPv4/IPv6 routing: provides basic routing (supporting up to 32 static routes and 8 virtual VLAN interfaces); allows manual configuration of routing. Support : Quality of Service (QoS); Management; Connectivity; Layer 2 switching; Security; Convergence; Resiliency and high availability. Performance : 100 Mb Latency < 5 µs; 1000 Mb Latency < 5 µs; Throughput 6.6 million pps; Routing/Switching capacity 8.8 Gbps. HP V1420-24G-2SFP Switch JH017A Tính năng kỹ thuật : Ports : 22 autosensing 10/100/1000 ports + 2 dual-personality ports; each port can be used as either an RJ-45 10/100/1000 port or an open mini-GBIC slot. Memory and processor : 512 KB flash; packet buffer size: 512 KB Performance : 100 Mb Latency < 8.0 µs (LIFO 64-byte packets); 1000 Mb Latency < 3.6 µs (LIFO 64-byte packets); Throughput up to 35.7 million pps (64-byte packets); Switching capacity 48 Gbps; MAC address table size 8000 entries. 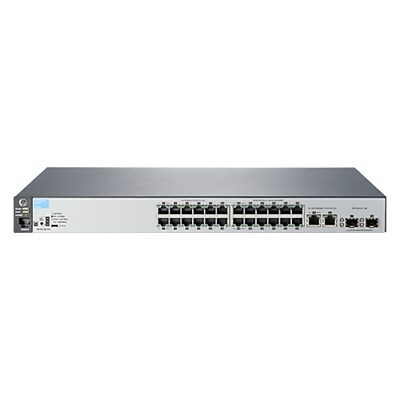 HP 1420-24G-R Switch - Rack 19" JG708B Tính năng kỹ thuật : Ports : 24 RJ-45 autosensing 10/100/1000 ports. Memory and processor : 1Mb flash; packet buffer size: 512 KB. Performance : 100 Mb Latency < 8.0 µs (LIFO 64-byte packets); 1000 Mb Latency < 3.6 µs (LIFO 64-byte packets); Throughput up to 35.7 million pps (64-byte packets); Switching capacity 48 Gbps; MAC address table size 8192 entries. HP V1420-16G Switch JH016A Ports : 16 RJ-45 autosensing 10/100/1000 ports. Memory and processor : 512 KB flash; packet buffer size: 512 KB. Performance : 100 Mb Latency < 8.0 µs (LIFO 64-byte packets); 1000 Mb Latency < 3.6 µs (LIFO 64-byte packets); Throughput up to 23.8 million pps (64-byte packets); Switching capacity 32 Gbps; MAC address table size 8000 entries. HPE 1420 8G Switch JH329A Ports : 8 autosensing 10/100/1000 ports. 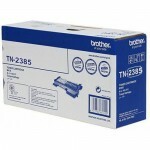 Memory and processor : 4 Kb EEPROM capacity; packet buffer size: 192 KB. Performance : 100 Mb Latency < 3.6 µs (LIFO 64-byte packets); 1000 Mb Latency < 1.2 µs (LIFO 64-byte packets); Throughput up to 11.9 million pps (64-byte packets); Switching capacity 16 Gbps; MAC address table size 4096 entries. HP 1410-24 Switch J9663A Ports : 24 autosensing 10/100 ports. Memory and processor : 16 Kb EEPROM; packet buffer size: 2 Mb. Performance : 100 Mb Latency < 11 µs (LIFO 64-byte packets); Throughput up to 3.5 million pps (64-byte packets); Switching capacity 4.8 Gbps; MAC address table size 8192 entries. HP 1410-16 Switch J9662A Ports : 16 autosensing 10/100 ports. Memory and processor : 16 Kb EEPROM; packet buffer size: 2 Mb. Performance : 100 Mb Latency &lt; 10.6 µs (LIFO 64-byte packets); Throughput up to 2.3 million pps (64-byte packets); Switching capacity 3.2 Gbps; MAC address table size 8192 entries. HP 1410-08 Switch J9661A Ports : 08 autosensing 10/100 ports. Memory and processor : 16 Kb EEPROM; packet buffer size: 2 Mb. Performance : 100 Mb Latency < 10.6 µs (LIFO 64-byte packets); Throughput up to 2.3 million pps (64-byte packets); Switching capacity 3.2 Gbps; MAC address table size 8192 entries.